General Cunningham served in the U.S. Air Force (USAF) for thirty-three years, retiring as a Lieutenant General. His military service included operational assignments at every level, from squadron pilot through Commander, Twelfth Air Force, and staff assignments in a variety of positions ranging from Action Officers to Deputy Chief of Staff for Programs and Resources. After retirement, Gen. Cunningham joined Mowell Financial Group and Reflectone Inc., serving first as the Assistant Chairman of the Board then as President and Chief Operating Officer. When Reflectone merged with British Aerospace PLC, he joined the University of Tampa as the Director of the Center for Ethics and as a faculty member for the College of Business. Gen. Cunningham returned to federal service to serve as the Commandant of the Defense Intelligence College at the Defense Intelligence Agency (DIA) in 1994. He then served as the Chief, Defense Logistics Agency (DLA) Liaison at the National Defense Headquarters in Ottawa, Canada. In 1997, he became the DIA Senior Regional Representative, Europe. The next year, he served as the Special Assistant to the Senior Civilian Official, Office of the Assistant Secretary of Defense for Command, Control, Communications and Intelligence (ASD/C31). In 1999, he was selected to be Deputy Assistant Secretary of Defense (Intelligence). He was also assigned as the Acting Director, Defense Security Service and five months later was appointed Director. Gen. Cunningham has received numerous awards and commendations throughout his career, including the Presidential Rank of Meritorious Executive, the Defense Intelligence Director’s Award, the Defense Civilian Distinguished Service Medal (twice) and honorary doctorate degrees from St. Leo University and the Embry-Riddle Aeronautical University. 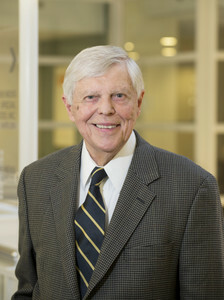 Gen. Cunningham remains active in the private and public sectors as a consultant and advisor. He serves on several non-profit and for profit boards. He also exclusively consults for DynCorp, now part of CSC, and is a lead planner for Homeland Security Programs. Gen. Cunningham earned a Bachelor of Science degree in Political Science from Florida State University and a Master of Science degree in Business Administration from The George Washington University. He also holds a Doctor of Public Administration from Nova University. During his military career, Mr. Cunningham attended the USAF Squadron Officer School, Air Command and Staff College and the U.S. Army War College. He is a Senior Fellow at the Armed Forces Staff College and a War Studies Fellow at the Royal Military College of Canada.